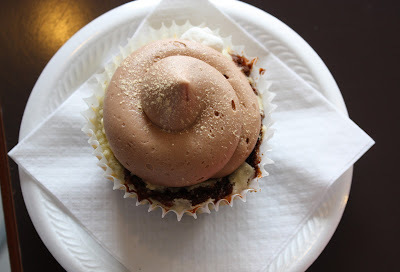 Yesterday we visited The Cocoa Bean Cupcake Shop one last time. It was our friend Connor's birthday last week and we missed his party. 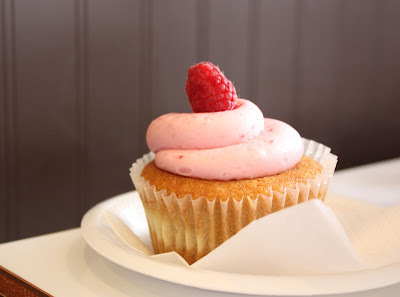 So what better way to celebrate than with cupcakes?! There were 7 flavors I hadn't tried yet, but we only bought 6, and I only tasted 5 of them. First up, my favorite of the day, Caramel Apple Pie. It was like Thanksgiving in a cupcake, a mix between pumpkin and apple pie, with caramel mixed in. Yum! You can't even see all the goodness in this one. The bottom layer is a brownie mixture, with cheesecake on top of that, marshmallows stuffed in the middle, covered in sweetened condensed milk, topped with chocolate frosting. It's not for the faint of heart, definitely rich. Not too rich, just enough sweet and topped with a chocolate covered strawberry. This is chocolate, chocolate, then more chocolate. 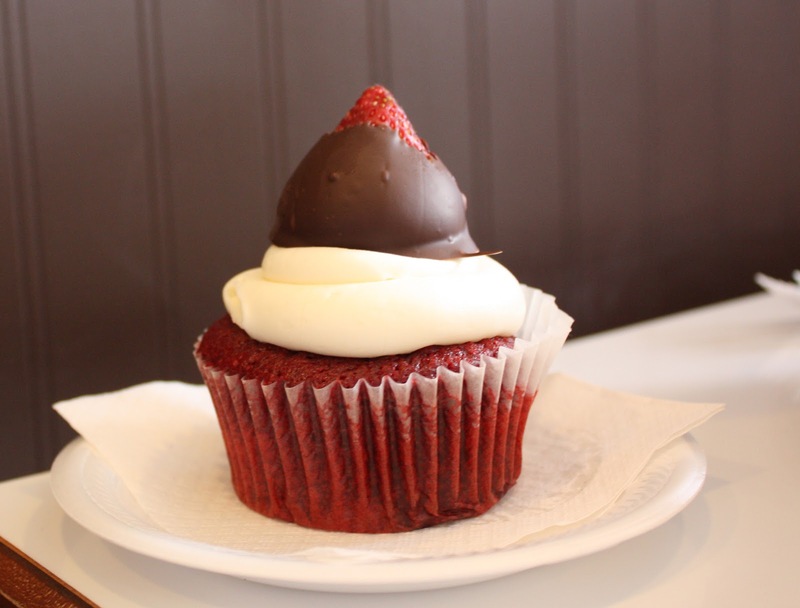 The cupcake is more of a dark chocolate flavor, topped with chocolate ganache and then chocolate frosting. Very Rich, would be great after a savory meal. 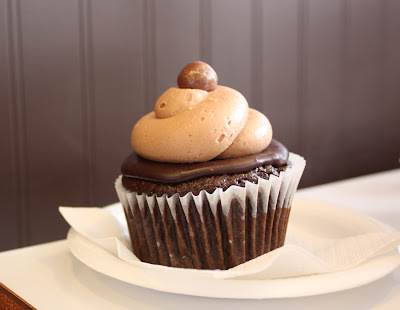 Last up, Chocolate Peanut Butter Cup. I've learned that their peanut butter frosting is way too much peanut butter flavor for me. Even in small doses it's overwhelming for my palate. 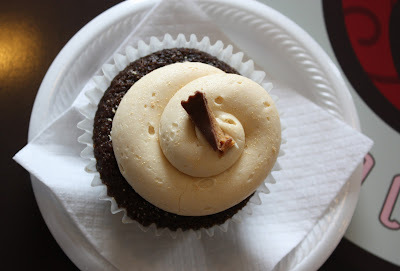 The cupcake was good, and if you love peanut butter, you would love this. I guess I'm just not a huge peanut butter fan. The one I didn't taste, was saved for our sweet babysitter, Karli. It's Lucious Lemon Raspberry. I think it has a lemon pudding type layer in the middle. I'm guessing it was close to the Lemon Blueberry cupcake. This will be the last of the cupcakes for awhile. But I'm excited to make a mini book out of all of these pretty cupcakes. They look so good. I'd take the chocolate, chocolate then more chocolate one. Mmmm. yum. what a fun mini this will make! And now I'm hungry!! Beautiful photos! Those all look amazingly delicious! !